This project was quite unique. Our task involved implementing a spiral staircase combined with a water pond. 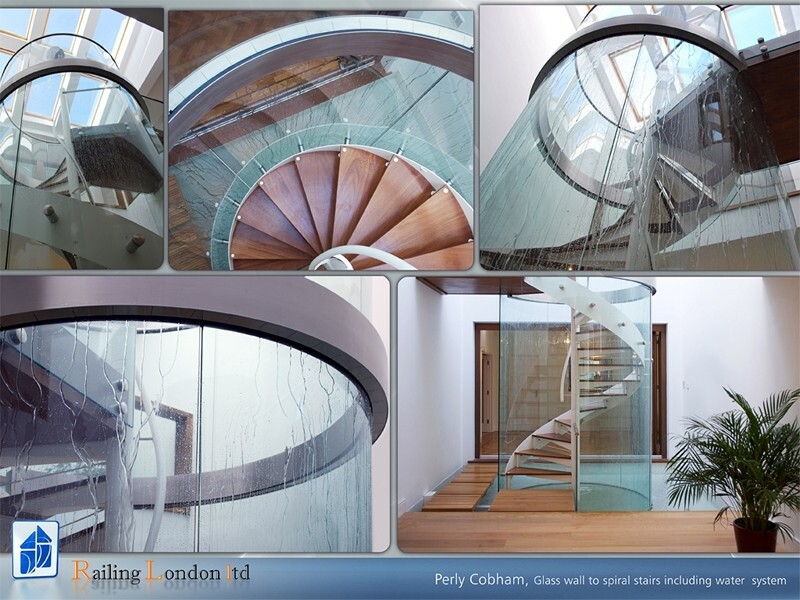 The steps run around the centre in a zigzag formation, and the balustrade is made completely of glass. It surrounds the entire height of the staircase, with water running down it, forming an elegant pond/waterfall combination. This staircase perfectly compliments the contemporary decor of this interior, and we’re very happy with it.